The supplement and vitamin industry has been around for quite some time and its here to stay. That’s because it caters so many people across the globe in so many different ways. However, it’s important that you are knowledgeable enough to separate the good products from the not-so-good because your health and savings depend on it. When buying a nutritional supplement, it is suggested that you look for quality supplements that are safe and provide you with the nutrition required. To make things easy, this article provides a list of important factors that should help you buy side-effect free supplements. You might even like to get a hardcopy of this page and discuss the list with whoever you are buying the supplement from to ensure you are investing in the right products. What should you really buy as a newbie? A good fish oil supplement and a quality multivitamin are, generally, all you need. If you are a healthy individual with good dietary habits, then don’t fall into the trap of buying numerous different vitamin supplements. Instead, just look for a quality supplement that has everything you need and combine it with a good fish oil (or omega 3). However, extra supplementation may be required if advised by a doctor for treating a specific pathology. For example, if you have knee joint problems, you may opt for a quality fish oil + multivitamin along with a glucosamine supplement. Besides looking for a quality side-effect free supplement, one also needs to ensure that it is safe to use on a long term basis. In particular, vitamin A, also known as retinol, and iron can accumulate toxicity within the body causing adverse side effects to our health. Therefore, we should steer clear of supplements that contain the aforementioned ingredients. Supplements that contain vitamin A should be present in the form of “beta carotene” to eradicate the possibility of toxicity. It is usually not recommended that people take any supplements that contain iron unless specifically advised by the practitioner. 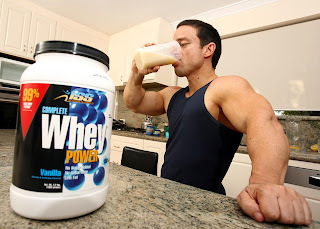 Does the supplement contain beneficial nutrient ratios? One essential aspect that we usually ignore, when purchasing supplements and multivitamins, is their nutritional quality. We usually get so engrossed in buying products that weigh more that we pay no heed to the ingredients they comprise of. For example, a 1500mg fish oil capsule is not necessarily better than one that is only 1000mg. Although, size does matter in many other matters, but here it’s not the size of the capsule that is important, it is the number of active ingredients (i.e. the omega 3’s EPA + DHA). Are the ingredients provided in the most bioavailable form? Usually, salts that have minerals are not as easily absorbed as compared to other forms of minerals such as chelated minerals, or minerals bound to an organic carrier. In order to buy supplements that have traces of minerals, be aware of the ingredients that come in the form of chelated minerals as these are easily used by the body which makes them superior quality supplements. The only exception is iodine, which is best absorbed in the form of iodized salts, readily available in the market. Less is always more. Many people, who consume multivitamins and supplements, believe that a brand which uses a number of active ingredients in their products is the best option to shop from. Sadly, this is not always the case. It is important to keep in mind that the human body can absorb only a limited amount of ingredients consumed in a single dose. So, large doses quite often are a total waste. You need to make sure that the product is delivering (whatever it is supposed to deliver) in a single dose because large doses of certain ingredients can lead to toxicity. We all know that nothing is more important than good health and, therefore, you seriously don’t want to invest in anything that comes with side effects. Usually, firms that use standards equal to pharmaceutical manufacturing will produce superior quality supplements unlike those that use basic food standard as their only criterion. Thus, it is best to avoid using any potions or lotions that look as if they were made in the backyard of a house as both the quality and safety may be compromised. Are the supplements listed in the Physicians Desktop Reference (PDR)? The PDR is a book that healthcare professionals use when prescribing medications. Supplements and multivitamins that are found listed in these publications are generally considered safe and of excellent quality, as there is some research to support their use. Is the company publicly traded or transparent about their manufacturing processes? This point also helps in finding out whether the supplement is side-effect free or not. The advantage of shopping from a publicly traded company is that they are regularly inspected and because they are transparent, they have nothing to hide. Also, anyone in the general public can find out all the information they need about the company including manufacturing standards, where they receive their materials from and similar other things. If the company is not publicly traded, then all of this information remains hidden. Did you experience any side effects of a supplement you used? Let us know in the comments section below.